The constant flow of technological advances exacerbates the problem of copyright infringement. The most significant advance: the ability to make copies of copyrighted material. Increasingly sophisticated means of communication, both for work and entertainment purposes, have developed in the last half of this century. These advances have led to a highly profitable business in piracy. The extensive trade in counterfeit goods--music, film, video, and other items carrying well-known brand names--has cost companies lost revenues of billions of dollars each year. 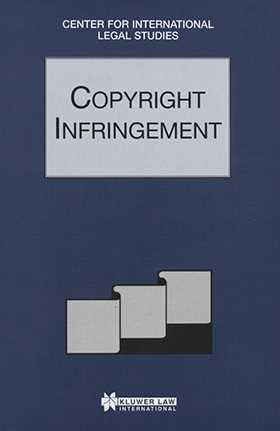 Though regulations such as the European Union Directives attempt to harmonize legislation in this area, the extent of copyright protection differs throughout the world, with varying requirements for the registration of copyright and periods for its term of protection. The difficulties in proving ownership of copyright and the ease of copying goods and information make this an extremely problematic area in terms of regulation and enforcement. Security devices developed to combat this phenomenon prove fallible against expert offenders. The expertise of this book's contributors (leading practitioners in the field of intellectual property law) and the complex, cutting-edge nature of this topic make this special volume of Comparative Law Yearbook of International Business an extremely useful source of information for anyone advising clients in or wanting to learn more about this challenging area.